Founded in 1976, the Iyengar Yoga Centre of Victoria is a registered charity and not-for-profit, dedicated to encouraging the physical, mental, and spiritual growth of our members through the study and discipline of Iyengar Yoga. The Centre offers one of the most comprehensive programs of Iyengar Yoga in North America. Our classes are taught by experienced and well-trained teachers. Located in downtown Victoria at #202 – 919 Fort Street, our facility boasts two bright and airy teaching spaces fully-equipped with hardwood floors, rope walls, mats and props. B.K.S. Iyengar, who passed away in 2014, was a yoga master who taught yoga around the world for more than 75 years. An author of 20 books, which have been translated into various languages, his contribution to yoga has been acknowledged in the Oxford English Dictionary (OED), which defines ‘Iyengar’ as a form of yoga. B.K.S. 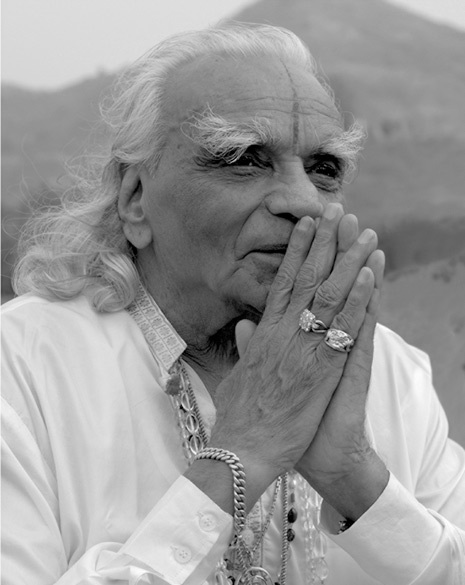 Iyengar was named by TIME magazine as one of the one hundred most influential persons of the 21st century. Today there are certified Iyengar yoga teachers in more than forty countries. Iyengar yoga is a complete approach to physical, mental, emotional, and spiritual health, bringing vitality, mental clarity, wisdom, and emotional serenity. The Iyengar teaching process is rigorous and students can be assured that instructors are well trained in the practice and philosophy of yoga. In Canada, a minimum of three years training is required for an introductory teacher. Additional teacher training includes the study of anatomy, physiology, kinesiology, philosophy, and practical teaching methods. Candidates for certification undergo an assessment process that includes recommendations by mentoring teachers, a review of study and teaching experience, and a comprehensive three-part examination. The Iyengar yoga style of teaching is marked by precision of the alignment of bones, muscles and joints in performing the yoga poses, or asanas. It is unique in the innovative use of props which has made the words of the 11th century yogic text, Hatha Yoga Pradipika, come alive: “…the young, the old, diseased, the weak and the disabled can all do yoga and attain benefits.” Props include blankets, belts, ropes, chairs, bolsters and wooden blocks, which allow even the stiffest and most disabled students to do the poses and gain benefits. Iyengar yoga is internationally renowned for its therapeutic value in alleviating symptoms of many diseases.